Last week iBall launched the Andi 5L Rider in India with a price tag of ₹4699, and now today, it has launched an 8-inch tablet called Slide Wings which is priced at ₹7999. The Slide Wings comes with a quad-core processor under the hood which is clocked at 1.3 GHz and is coupled with 2 GB RAM and Mali 400 MP GPU. Being a tablet device, it boasts off an 8-inch display which has a resolution of 1280 x 800 pixels. The iBall Slide Wings runs on Android 5.1 Lollipop out of the box and is backed by 4300 mAh battery. 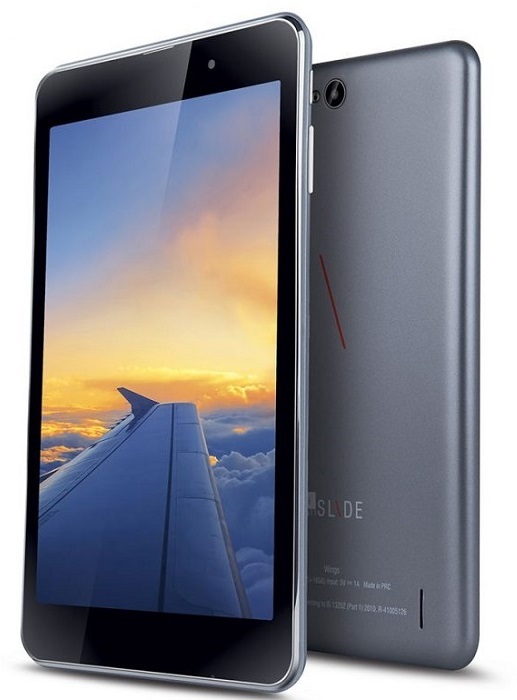 The tablet offers 16 GB of internal storage for all your multimedia needs. You can also expand the storage up to 32 GB via microSD card. The Slide Wings tablet also comes pre-loaded with apps like Facebook, Hungama, Sanjeev Kapoor Recipes, TOI, Truecaller, WhatsApp, Excel, Word and PowerPoint, and, games like Asphalt Nitro, Danger Dash, Modern Combat 4 Zero Hour and Spider-Ultimate Power. It also comes with in-built multi-languages keyboard with read and write compatibility supporting 21 Regional languages of India along with system support for 9 regional languages. The iBall Slide Wings is available for purchase across all retail stores in India.